Flotation Therapy - Discovery Pack: Three 90 minute floats for $175! Recommended by doctors, sports trainers, and therapists, mineral spa floatation therapy is gaining popularity as a luxurious escape and an extremely powerful tool for strengthening the immune system and improving health. In the sound-proof and light-proof heated spa filled with 1,000 pounds of healing, soothing Epsom Salts, clients float away mental stress, physical stress, and chronic pain. 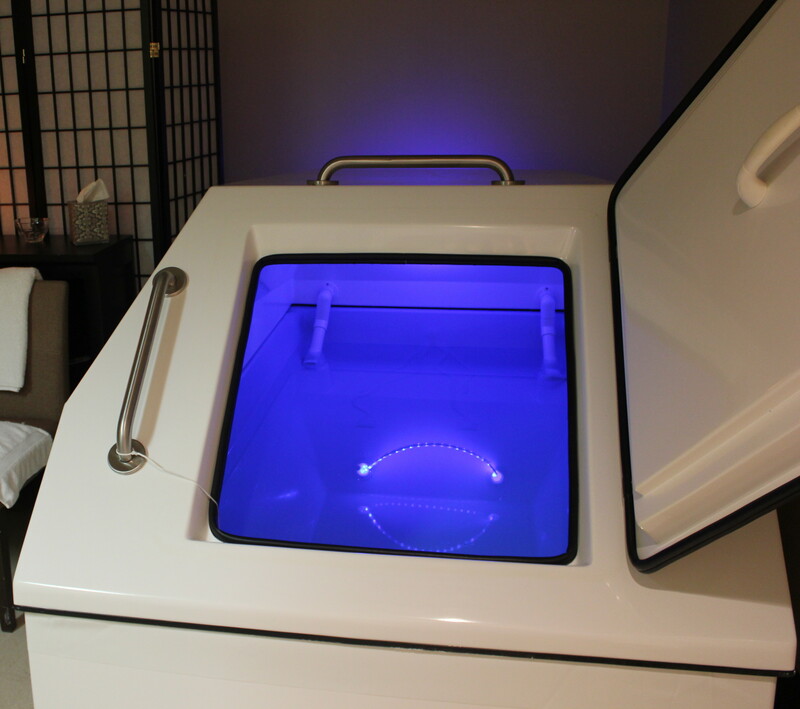 Floating also has been shown to improve creativity, increase skin tone, and enhance athletic performance. Experience weightlessness: Doctors have observed that maintaining the body erect against the force of gravity creates stress on the spine and joints and may be part of the cause of arthritis and other uncomfortable conditions. By allowing the body to float, this stress is temporariliy alleviated, thereby allowing muscles and joints to relax and heal faster. No training, preparation, or skill is required. You cannot sink. Anyone, regardless of body type, will float like a cork, effortlessly on top the the heated Epsom salt-water solution. Relax your mind: By relaxing the analytical side of the mind, floating induces whole-brain thinking where we can become more creative and expressive. In this environment our ability to absorb information and achieve desired goals is greatly enhanced through visualization and positive thoughts. © 2019 SO Float Spa - Flotation Therapy in Medford, Oregon.